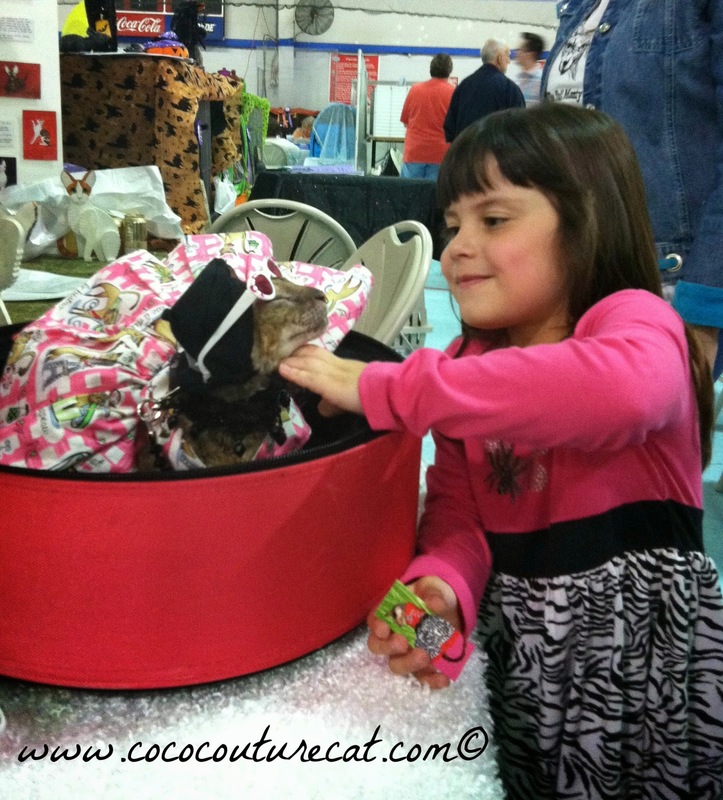 Coco, the Couture Cat: Monday Mewsings, Pawtograph Time! 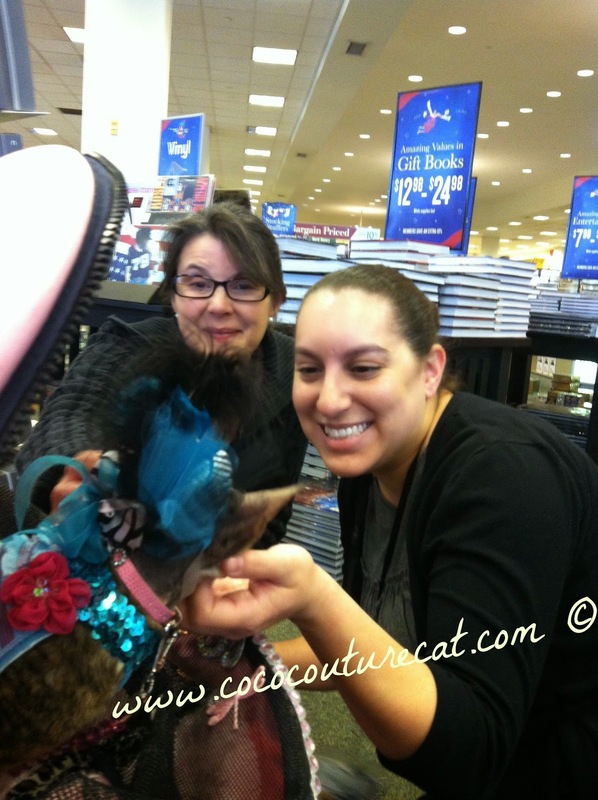 A couple of weeks ago, Coco and I had an impromptu pawtographing appearance at the Barnes & Noble Bookstore in Springfield VA! 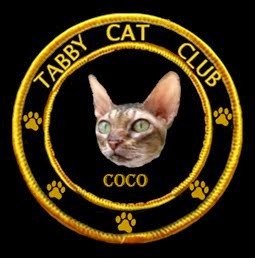 I stopped in to see if they had any copies of The Adventures of Coco le Chat, The World's Most Fashionable Feline and to talk to them about Coco possibly making a personal appearance! 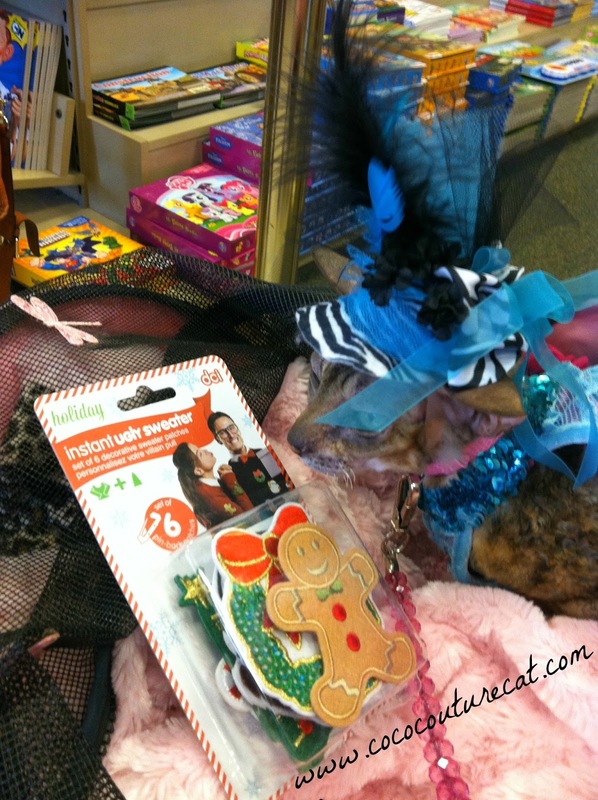 As luck would have it, the assistant manager was a cat lover, and thought the book was precious (it is!) 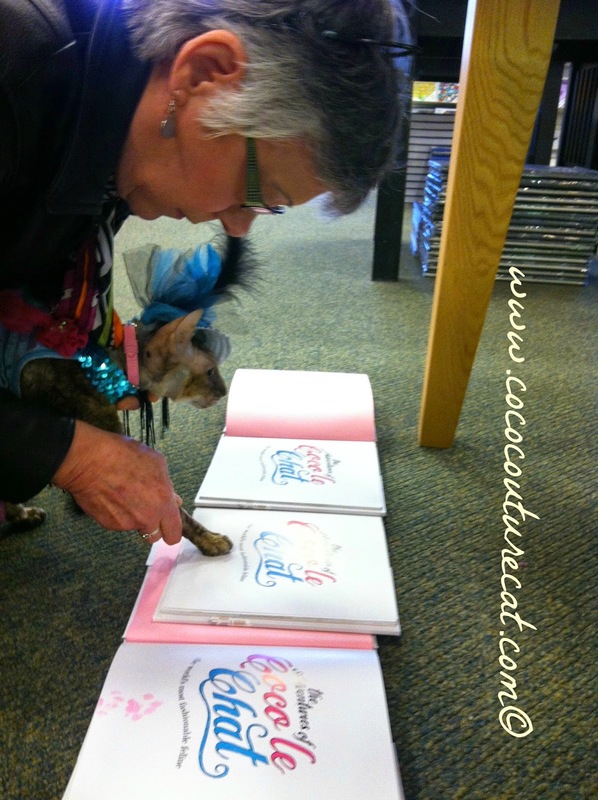 and she and if she ordered 4 copies, would Coco come by and pawtograph them? 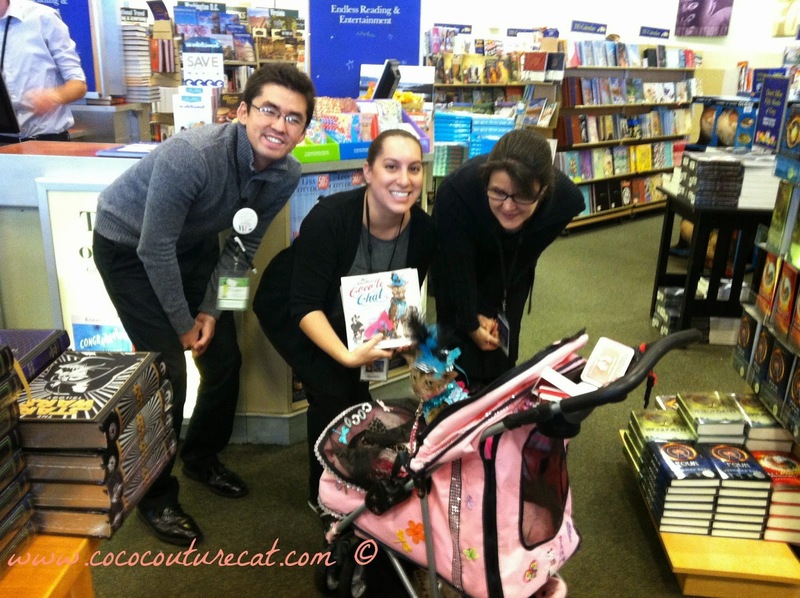 So, a couple of weeks later we excitedly stopped in, and Coco's presence attracted a lot of book lovers in the store at the time, and of course, the employees were posing for photos with the star of the book! 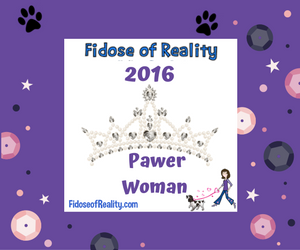 I was so pleased how the photo shoot turned out, and thought you would like to see them, too! 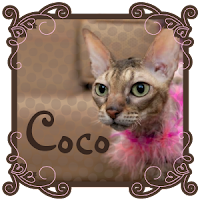 And afterwards, Coco did a little shopping and picked out this gag gift for a friend, an Instant Ugly Christmas Sweater kit, Hahameow! That is so cool that you got to do a book event at Barnes and Noble! It is actually pretty hard to do that - but you have such a pretty book and the staff at your B&N was friendly, so that helped a lot. Just shows that it never hurts to ask! That is great- I wish I lived near you, I would have gone. Oh! Oh! Mommy! 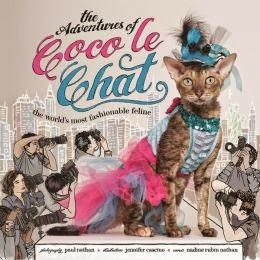 We have to email Coco to get a pawtographed copy of her book to add to our collection!